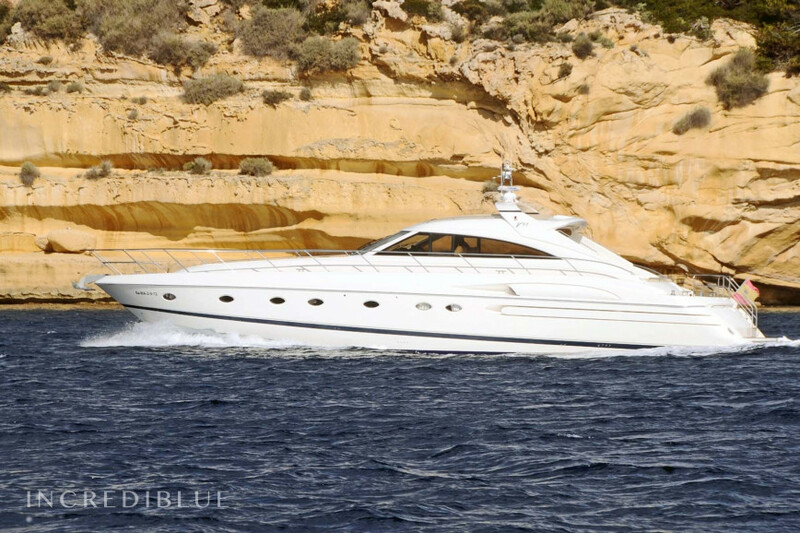 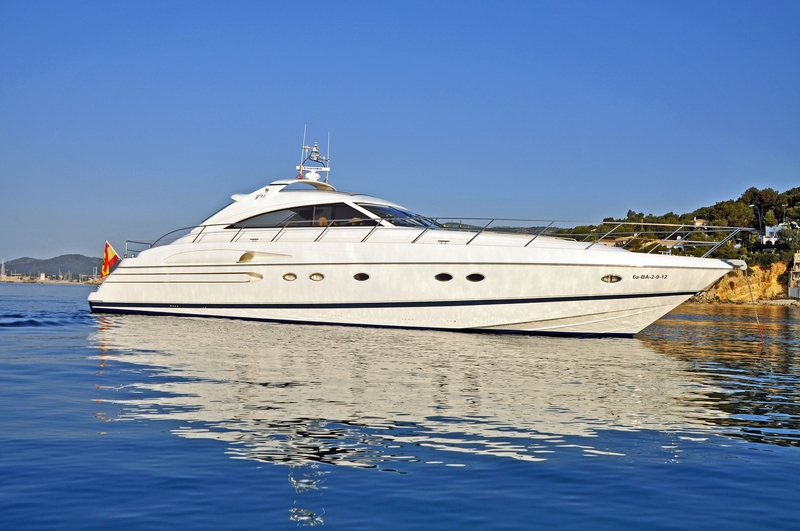 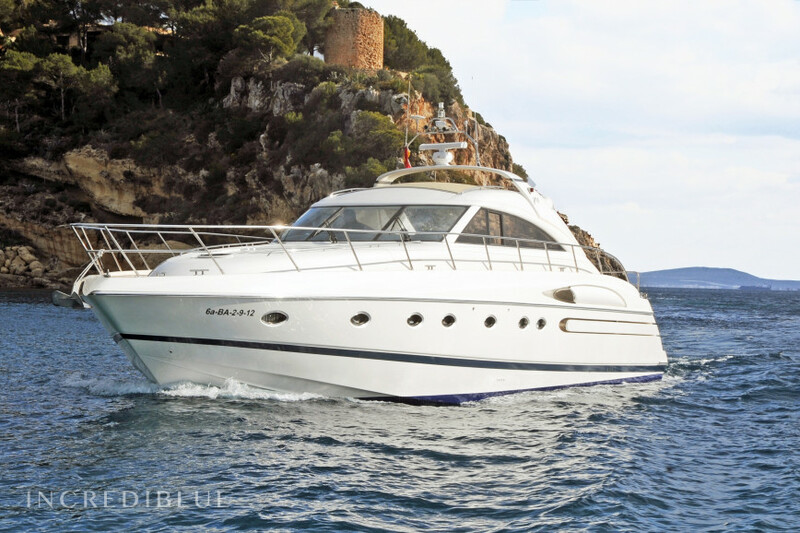 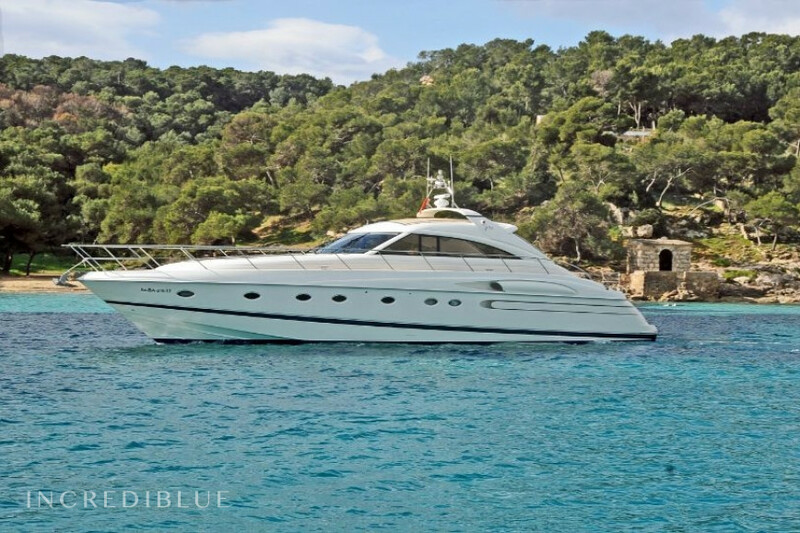 Rent this Princess V65 with a length of just over 20 meters. 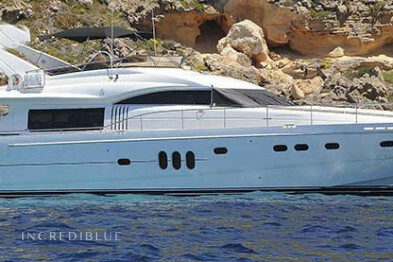 Known as a sports yacht, the V65 combines high performance with high levels of sophistication of a super yacht. 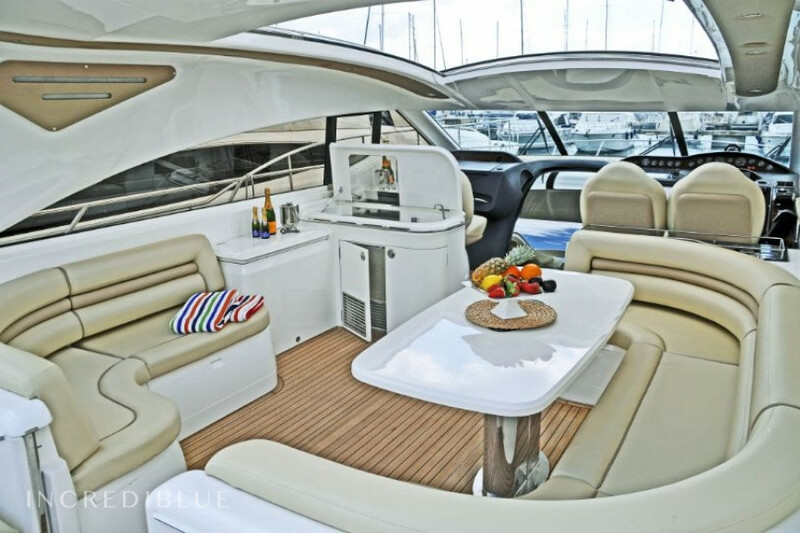 The Princess V65 has a hard top that opens and closes electrically perfect to enjoy the sun during the day and at night covered dining. 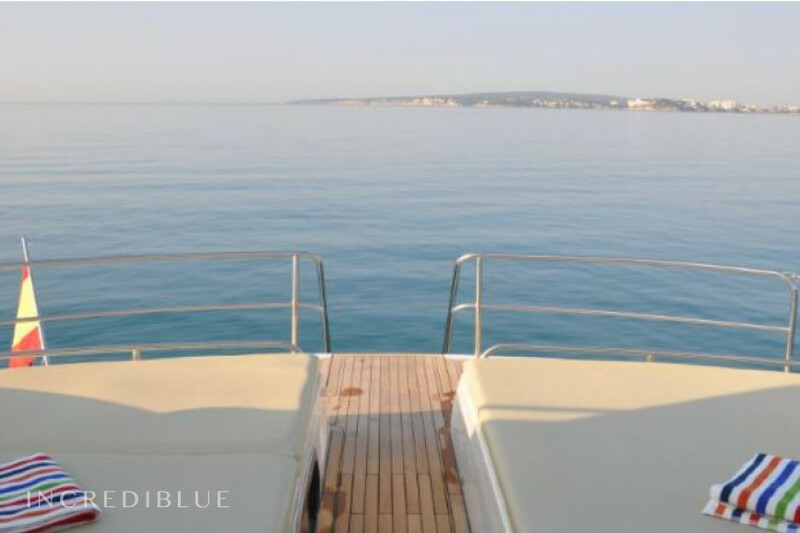 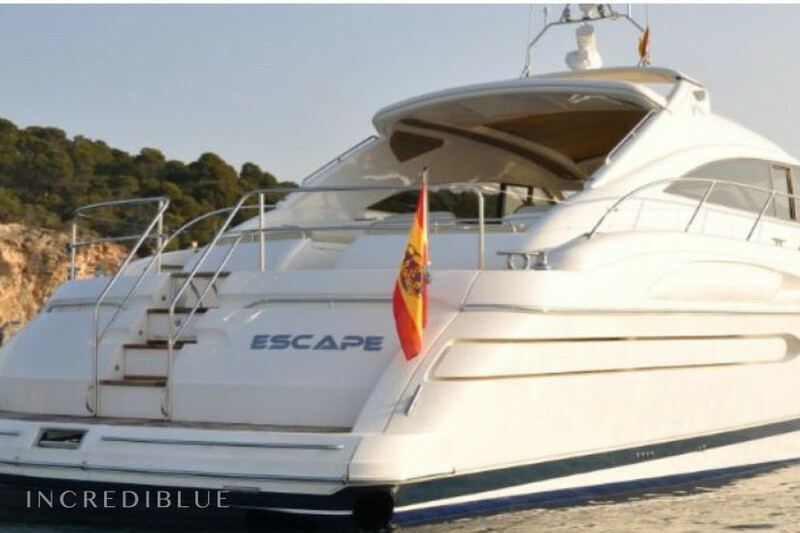 It offers 3 comfortable cabins including a large master cabin, a luxurious VIP cabin and a double cabin. 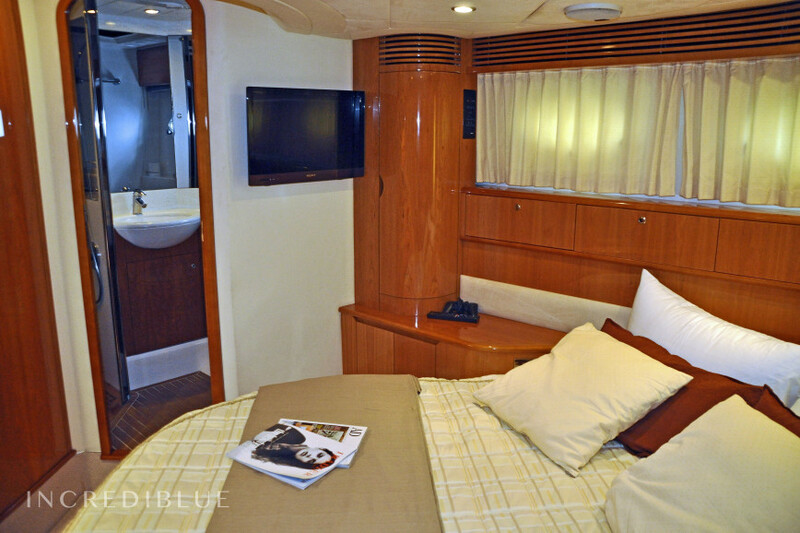 All with en suite. 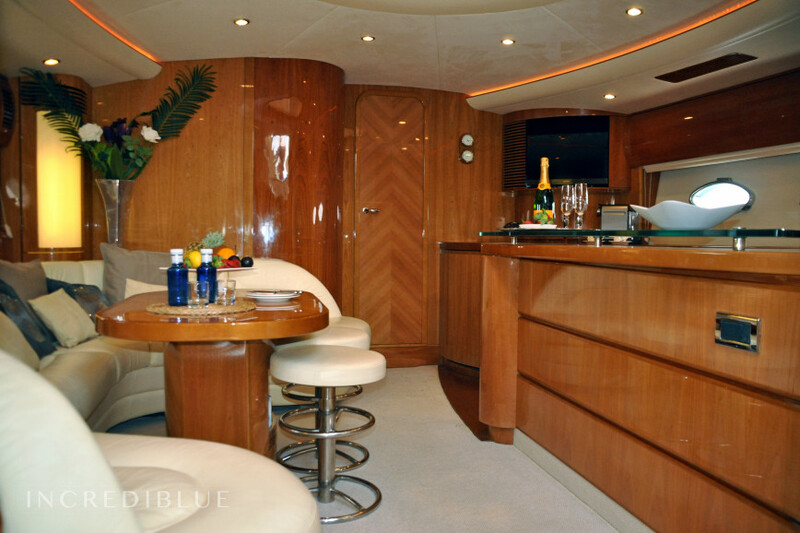 The living room and kitchen are combined offering a seating area amazing. 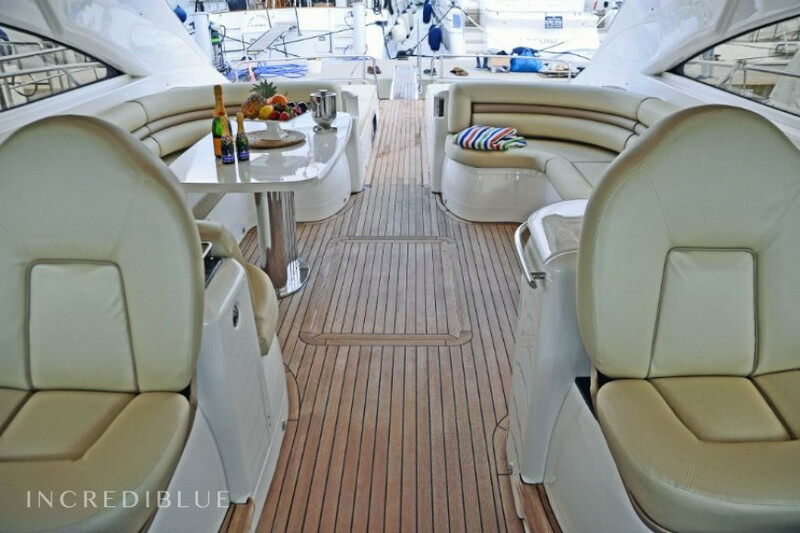 Outside in the very spacious open deck with dining included, there is also a wet bar, refrigerator and electric barbecue plus 3 spacious leather cushions to enjoy the sun. 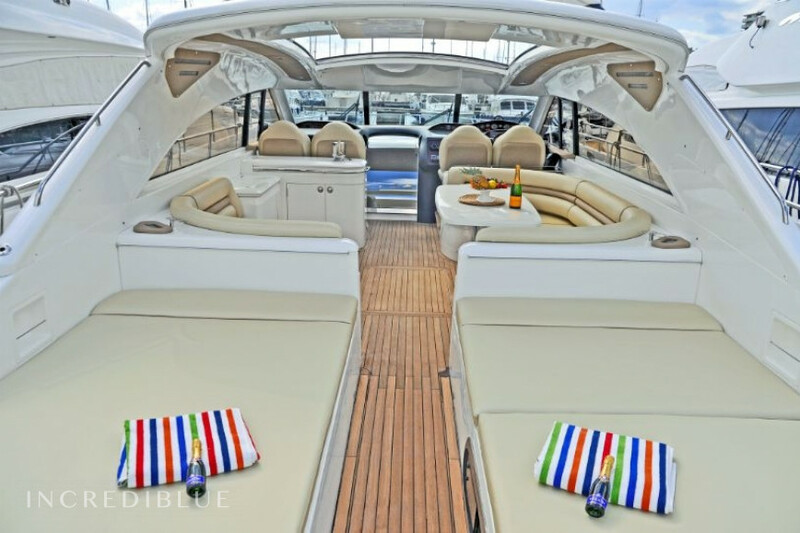 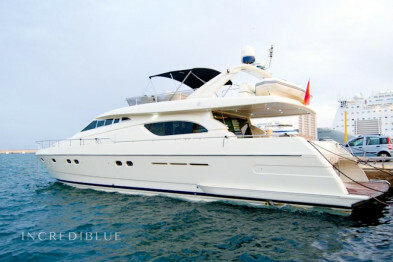 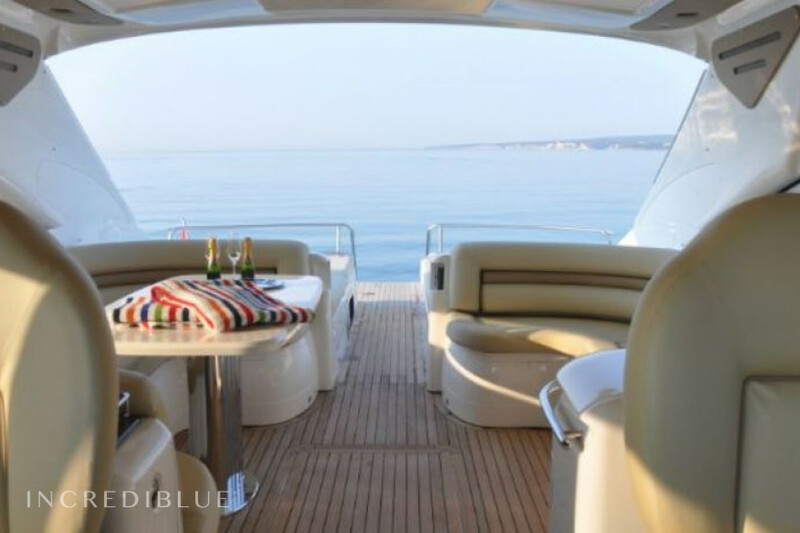 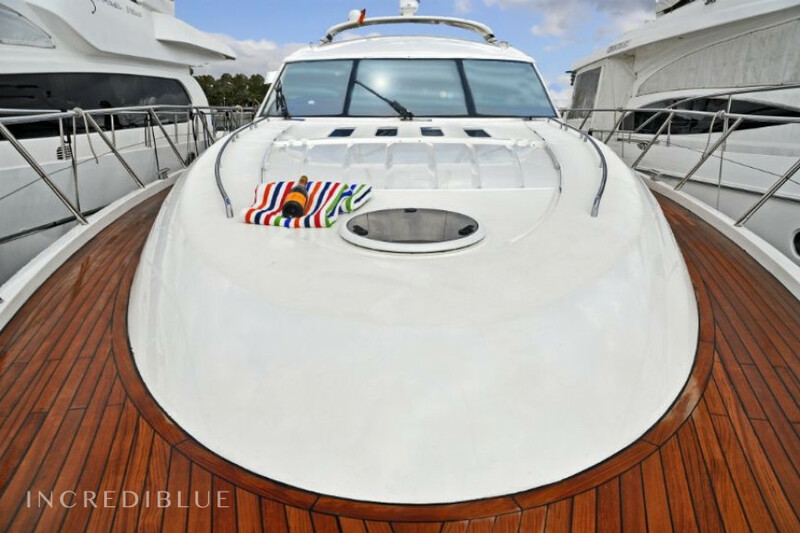 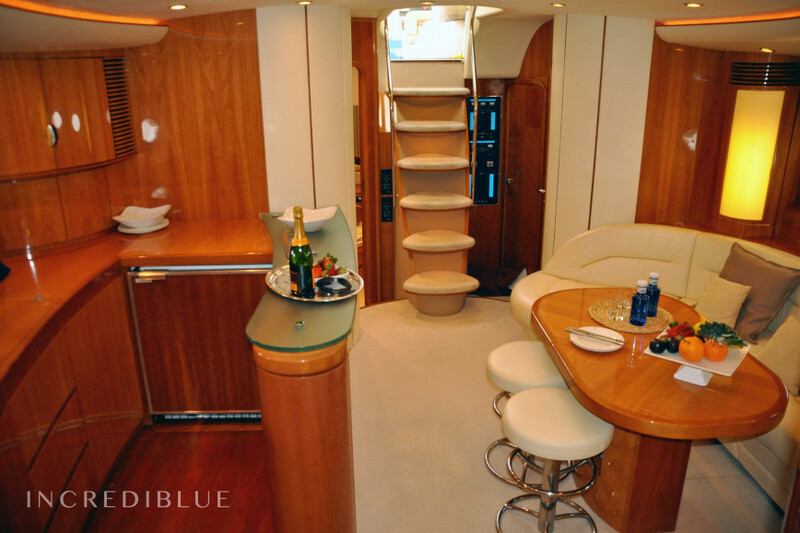 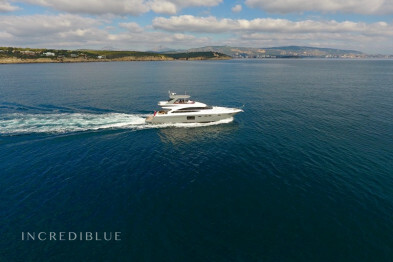 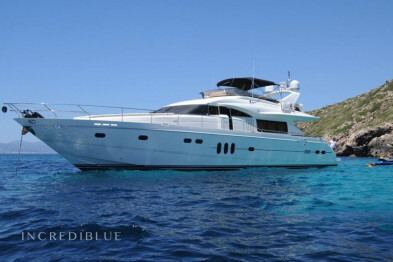 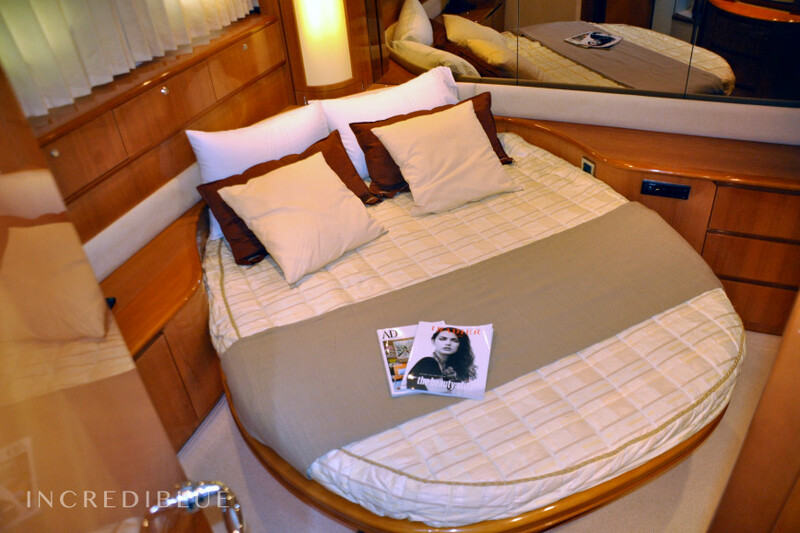 All this makes this yacht ideal for entertaining and enjoying their company boat. 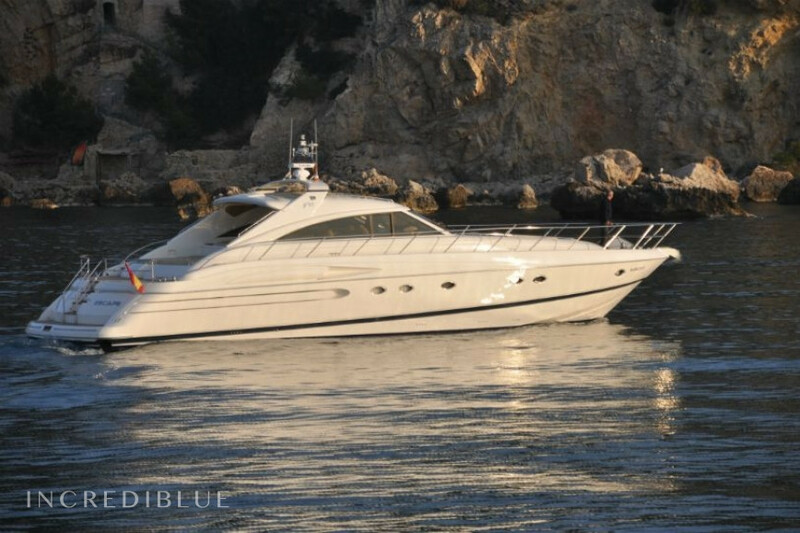 This boat was completely renovated and updated in 2011/2012 including Blu-ray, DVD, PS3, YV LED's and a full team of surrond sound. 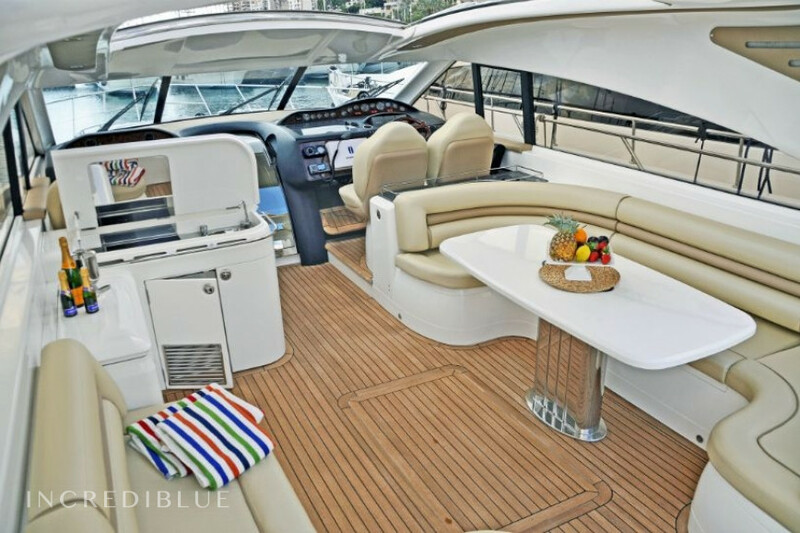 It has a rigid new Avon 320 Jet Rib 40 Hp, ensuring their fun when doing water skiing or wake boarding, etc., or just to take you to the beach in style.